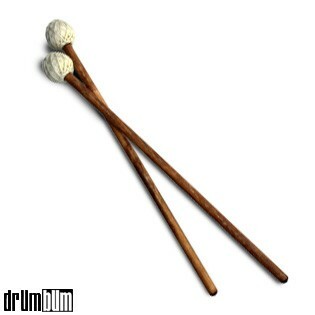 Cymbal Mallets – These quality wood Cymbal Mallets will add an extra dimension to your drumming performances! With white yarn tightly wound around a rubber core, the Cymbal Mallets bring your cymbals alive with a wash of sound. The unique design makes these mallets more durable than a traditional felt mallets. Made from quality birch wood. Approx. 16″ L (handle is 0.4375″ in diameter). 1 pair.